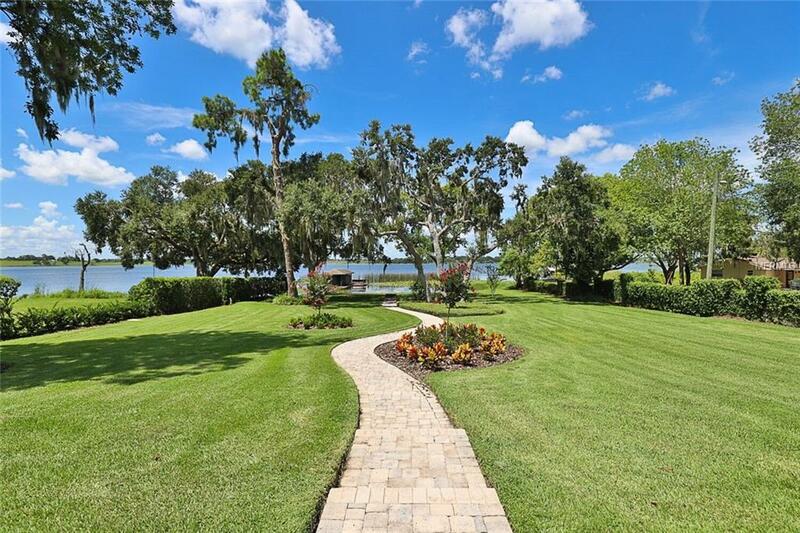 AN ABSOLUTELY IMMACULATE LAKEFRONT HOME ON BEAUTIFUL LAKE JULIANA!This exceptional home has extensive remolding throughout! The kitchen is a "chef's delight" with top of the line Viking stainless appliances,commercial gas range top,farm sink,double ovens,granite counter tops, center island, breakfast bar, wine refrigerator, a butler's pantry and an abundance of custom cabinetry. Great family room with soaring ceilings and cozy fireplace. 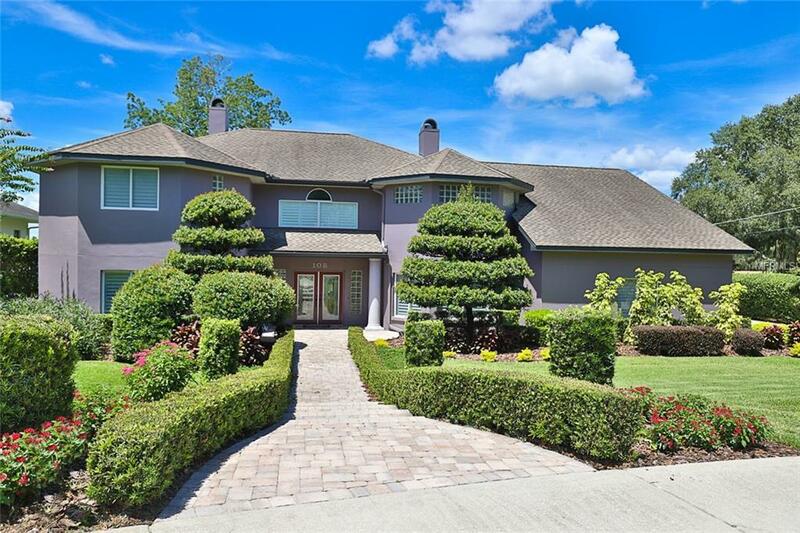 The home offers a formal dining room and a formal living room with a double faced fireplace that flows into a comfortable den and separate office area. Upstairs master suite features a balcony for enjoying relaxing picturesque evening lakeviews, an amazing 19 x 10 walk-in closet, complete with beautiful "California Style" cabinetry and shelving with another double faced fireplace that flows into the master bath. This bath features dual sinks, granite countertops, an oversized walk- thru shower with two rain shower heads, a jetted garden tub and all the bathroom walls are tiled to the ceiling..An oversized screened pool and spa area overlooks a gorgeous professionally landscaped yard with a winding brick pavered walkway that leads down to the lake. Enjoy all your watersports from your dock and screened boat house with electric lift. The home has many features including new windows, french doors, plantation shutters, crown molding, wood flooring and much more! 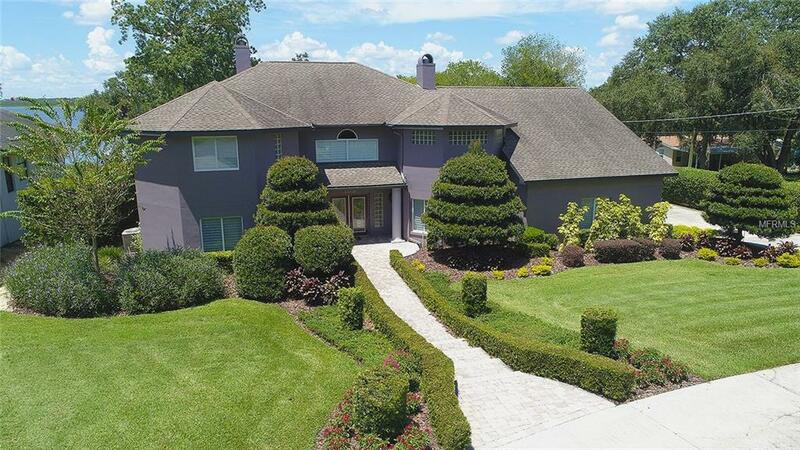 Situated beautifuly on a .94 acre lot on a cul-de-sac in a gated neighborhood and is conveniently located to I-4, for easy commuting to Tampa or Orlando!